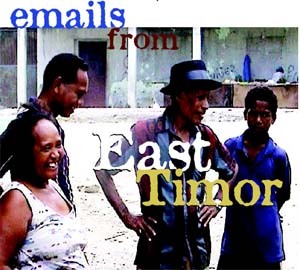 June 21, 2007 - The U.S. House of Representatives last night signaled continued congressional concern for human rights, accountability, and military reform in Indonesia and justice for East Timor. Several provisions in the Foreign Operations Appropriations Bill (H.R. 2764) require reporting on progress in these areas prior to the release of certain military assistance funds, including reporting on the impact of US assistance on Indonesian security forces and any connections between US assistance and human rights violations by these forces. In November 2005, the State Department pledged that the Bush administration would “carefully calibrate” any assistance to the Indonesian military. Instead, the administration's actions have demonstrated a policy of nearly unrestrained engagement with the TNI. Efforts to break up the military's legal and illegal business empire appear to have failed. Indonesia's Defense Minister Juwono Sudarsono confirmed recently that according to the government criteria, only six military enterprises out of a total inventory of 1500 qualify as businesses to be turned over to the government. The military will retain control of its foundations and cooperatives. Colonel Burhanuddin Siagian, regional military commander in West Papua, recently threatened to "destroy" any Papuans seeking their political rights. He has been twice indicted for crimes against humanity by the UN-supported serious crimes court in East Timor. Recently, Indonesian marines killed four civilians engaged in a protest over a land dispute with the Indonesian navy in East Java. In addition, human rights defenders in Jakarta are currently protesting the promotions of two military officers involved in the 1998 forced disappearances of democracy advocates. This past April, representatives from ETAN and other human rights groups met with Sudarsono. Many of his comments demonstrated a lack of urgency about key issues of military reform and the failure to address past human rights violations. Despite Mr. Sudarsono’s assertions, shortfalls in the military budget do not excuse the failure to take decisive action based on Indonesian and international law. In the name of counter-terrorism, the TNI has sought to strengthen the territorial command system, which places soldiers in every Indonesian community. At the same time, its close association with domestic militias - which have terrorized civilian populations in East Timor, Aceh, West Papua and elsewhere - raises serious questions about its anti-terror bona fides. Under Indonesian law, the police -- not the military -- are to take the lead in addressing terrorist threats. Rep. Nita Lowey (D-NY), chair of the State, Foreign Operations and Related Programs Subcommittee, is currently leading the effort in the House of Representatives to emphasize human rights in U.S.-Indonesia relations. The bill would also delay provision of International Military Education and Training (IMET) until the Secretary of State reports on steps taken by Indonesia to “to deny promotion to and to remove from service military officers indicted for serious crimes”; Indonesian government responses to East Timor's Commission for Reception, Truth and Reconciliation in Timor-Leste; implementation of the 2004 Indonesian law requiring the Indonesian military to divest itself of businesses; and the removal of restrictions on travel to the provinces of Papua and West Irian Jaya. The Senate has yet to take up its version of the Foreign Operations Appropriations Bill. Before becoming law, any differences between the House and Senate bills must be reconciled. (3) implementation by the Armed Forces, at the direction of the President of Indonesia, of reforms to increase the transparency and accountability of their operations and financial management. (4) The extent to which the Indonesian government has removed restrictions impending access to and travel within the provinces of Papua and West Irian Jaya by United Nations personnel, diplomats, journalists, international non-governmental organization personnel and researchers, humanitarian and human rights workers and others. SEC. 652. The annual foreign military training report required by section 656 of the Foreign Assistance Act of 1961 shall be submitted by the Secretary of Defense and the Secretary of State to the Committees on Appropriations of the House of Representatives and the Senate by the date specified in that section. The Committee recommendation includes $55,000,000 for programs in Indonesia, which is $5,000,000 below the request. The Committee notes Indonesia's strong and continued support in the Global War on Terror and recognizes the progress made by the Government of Indonesia to advance democracy and the rule of law. The Committee recommendation includes $8,000,000 in INCLE funding for Indonesia, which is $2,050,000 below the request. The Committee recommendation includes $974,000,000 [should read $974,000] for IMET programs for Indonesia, which is the same as the request. The Committee recommends a total FMF program for Indonesia of $8,000,000, which is $7,700,000 below the request. The Committee provides that of the $8,000,000 recommended for Indonesia, not more than $6,000,000 may be available prior to the Secretary of State making the certification contained in section 682 of this Act. The Committee makes this recommendation mindful of continuing concern about the professionalism of the Indonesian military and strongly supports the efforts of the civilian authorities in Indonesia to promote the rule of law, including efforts to exert control over the Indonesian military forces (TNI). This funding in no way signals decreased concern about the poor human rights record of the Indonesian military forces and is intended only as a sign of measured support for the continuing efforts of the civilian Government of Indonesia. The government of Indonesia is a strategic ally of the United States, especially in the continuing Global War on Terror and these funds will be used to purchase such things as spare parts and communications equipment. The Committee is encouraged and supportive of the efforts of United States military representatives of the United States Pacific Command (USPACOM) to work with the Indonesian military to transform its structure into a modern, professional and efficient military force. In addition to the report required in sec. 687 of this Act, the Committee directs that not later than 90 days after enactment of this Act, the Secretary of State shall submit a report to the Committees on Appropriations that describes the following: the utilization of any United States supplied equipment to Indonesian security forces, including the military, police, and other security agencies and any connection to human rights violations since 2000; any connections between United States trained Indonesian individuals and units, including the military, police, and other security agencies and human rights violations since 2000; ongoing efforts to monitor the use of United States supplied equipment and training in Indonesia; and any strategy linking United States military assistance to Indonesia to progress on human rights. Sec. 687. `Report on Indonesian Cooperation' is a Secretary of State reporting requirement analogous to section 599G of the 2007 Act. It is modified to apply only to IMET training and includes four new requirements. The Committee recommendation includes $1,302,000,000 for Contributions for International Peacekeeping Activities (CIPA), which is $166,725,000 above the fiscal year 2007 level, excluding emergency supplemental appropriations and $195,000,000 above the request. The Committee acknowledges that the number of peacekeeping operations throughout the world continues to grow, increasing the need for the international community to respond. Currently, the United States provides military observers and UN police for eight peacekeeping missions: Liberia (UNMIL), the Democratic Republic of the Congo (MONUC), Sudan (UNMIS), Ethiopia/Eritrea (UNMEE), Haiti (MINUSTAH), Timor-Leste (UNMIT), the Middle East (UNTSO), and Kosovo (UNMIK). UN peacekeeping operations are expanding to include more missions in more locations, and a significant increase in personnel necessary to facilitate such operations. The Committee understands that there are currently 15 UN peacekeeping operations with a total of approximately 100,000 peacekeeping personnel, including military observers and troops, UN police, and civilian personnel. The Committee notes that the United States is the largest contributor to the UN peacekeeping budget--providing roughly a quarter of the total cost to operate all peacekeeping missions. In addition, the United States provides military training and logistical support for some peacekeeping operations. The Committee encourages the Department of State to work closely with other UN Member States to ensure peacekeeping mission mandates are clear, credible, limited to what is achievable, and that peacekeeping personnel are properly prepared, able to defend themselves, and able to fulfill their mandate. The Committee continues to support efforts to improve the performance and efficiency of UN peacekeeping missions through structural and procedural reforms. The Committee also supports efforts to better limit and focus the goals of such missions, and to set specific benchmarks for performance and mission termination. The Committee notes that the United States is providing an additional $293,200,000 in bilateral funding for peacekeeping efforts in the Peacekeeping Operations account in title IV. The Committee remains concerned about disturbing allegations of sexual abuse of minors by UN peacekeepers and civilian personnel. The Committee recognizes that the Department of State has taken a leading role in urging the UN to take preventive measures in response to reports of sexual exploitation and abuse involving UN peacekeeping personnel. The Committee commends the Department for these efforts. The Committee notes that these efforts have led to significant reform in the planning and conduct of peacekeeping missions. The Committee continues to strongly urge the Administration, including the Department of State, to persist in pressing for further implementation of the recommendations contained in the Prince Zeid report, including personal accountability, and improvements in the systems of justice in troop contributing countries as a means to restore confidence in peacekeeping missions. Further, the Committee directs the United States to work to ensure adequate training is provided to peacekeeping personnel prior to deployment. The Committee is concerned that the Administration has not adequately planned for funding International Peacekeeping activities. Committee analysis has concluded that the Administration's budget request in fiscal year 2008 for CIPA is a cut of 3 percent below the fiscal year 2007 level and that all missions except UNMIS are taking a reduction in the President's request. The Committee continues to inquire as to the rationale used by the Secretary of State when requesting $28,275,000 below the fiscal year 2007 level in the CIPA account. The Committee is concerned that peacekeeping missions could be adversely affected if the requested fiscal year 2008 funding level is enacted. The Committee notes that in the last year the Administration has voted for: a seven-fold expansion of the UN's peacekeeping mission in Lebanon; the expansion of the UN's peacekeeping mission in Darfur; reauthorization of the UN's peacekeeping mission in Haiti; and a renewed peacekeeping mission in East Timor. The Committee further notes that some non-governmental organizations have concluded that the Administration's budget request for fiscal year 2008 for CIPA could add $450,000,000 to the United States peacekeeping debt at the UN based upon expected billings for existing UN peacekeeping missions. Moreover, if the proposed UN missions in Chad/Central African Republic and Somalia are undertaken, outside experts estimate that the arrears would grow by another $300,000,000. This would bring United States debt to UN peacekeeping activities to approximately $1,000,000,000. The Committee is concerned that these debts are preventing the UN from paying the countries that provide troops for UN peacekeeping missions and will likely significantly impact India, Pakistan, and Bangladesh. The bill retains language carried in previous years requiring 15-day advance notice of any new or expanded mission, together with a statement of cost, duration, exit strategy, national interest, and source of funds to pay the cost. In addition, the bill continues language requiring an additional notification that the UN has taken appropriate measures to prevent UN employees, contractor personnel, and peacekeeping forces serving in any UN peacekeeping mission from trafficking in persons, exploiting victims of trafficking, or committing acts of illegal sexual exploitation and to hold accountable any such individuals who engage in any such acts while participating in the peacekeeping mission. The bill also retains language requiring certification that American manufacturers and suppliers are provided equal procurement opportunities, and language making a portion of appropriations under this account available for two fiscal years. The Committee continues to support the efforts of the UN's Office of Internal Oversight Services (OIOS) to identify waste, fraud and abuse, including sexual abuse in peacekeeping operations, and to recommend specific reforms to ensure that such practices are brought to an end. The Committee directs the Department of State to provide the necessary support to ensure that OIOS oversight is systematically brought to bear on every UN peacekeeping mission, including through the presence of resident auditors. The Committee directs the Department to request a performance report on the efforts of this Office to root out the causes of such waste, fraud and abuse. The Committee recognizes that the Administration has requested an adjustment to the cap noted above for assessment made during calendar years 2005, 2006, 2007, and 2008, to 27.1 percent. The Committee notes that in 1993, the United States recognized a lower peacekeeping assessment level than that applied by the UN, and since October 1, 1995, has limited through United States law (sec. 404 of Public Law 103-236) to a level of not more than 25 percent for assessments to Contributions for International Peacekeeping Activities. The Committee wishes to emphasize that UN peacekeeping is a cost-effective and important force multiplier and that the use of multilateral organizations saves the lives of our men and women in the Armed Forces and wear and tear as well as substantial cost to equipment. For example, the Committee notes that the United States share of UN's operations in Haiti are eight times cheaper than sending United States troops. Unfortunately, the Committee was unable to address the full scope of the legislative remedy requested by the President and consequently was only able to include a legislative provision addressing the adjustment of fiscal year 2008 peacekeeping cap. The Committee believes that foreign policy decisions rest with the Secretary of State as the principal advisor to the President on international discourse and proceedings and that this authority should not be delegated or abdicated by the Department of State nor superseded by other departments or agencies within the Executive branch. The Committee is very concerned that the Department of State has relinquished the responsibility to provide continuous supervision and general direction of sales of military articles and the provision of services and training. The Committee notes that pursuant to sections 1 and 2 of Chapter 1 of the Arms Export Control Act (Public Law 90-629) it remains the policy of the United States to enter into international arrangements with friendly countries which further the foreign policy objectives of the United States to achieve specific national defense goals and objectives of mutual concern. The Committee notes that it is the Secretary of State's responsibility to ensure all such sales and training shall only be approved when it is consistent with the foreign policy interests of the United States, as embodied in the Foreign Assistance Act of 1961, and to the extent the military requirement necessitates and the economic and financial capability of the recipient country allows--with particular regard being given to the proper balance among military assistance and economic assistance, particularly as to the impact the military assistance will have on programs of social and economic development in the recipient country. The Committee further notes the law states that under the direction of the President, the Secretary of State, taking into account other activities abroad, such as military operations, food and economic assistance, shall be responsible for the general direction of sales, leases, financing, cooperative projects, and exports, including determining whether there will be a sale to, or financing for, a country and the amount and scope thereof and whether such activities can and will be integrated with other United States actions which best serve the foreign policy of the United States. With this in mind, the Committee is concerned that the Department of Defense is seeking to make permanent and expand to other countries some security and foreign assistance programs know as `Section 1206 authority' which have traditionally been under the supervision of the Department of State and USAID under the pretext that `speed and efficiency' in training and equipping other countries provides the ability to keep pace with adversaries and act quickly when circumstances require change. The Committee does not dispute that a failure to act rapidly and early increases the risk to vital United States security interests and likely brings about a need for direct United States intervention, but the Committee notes that the Departments of State and Defense have vastly different missions, and although they are not mutually exclusive they cannot be substituted for, or replace one another. Therefore, the Committee has included a new provision within the FMF account to allow the Secretary of State the flexibility to respond quickly to emerging needs and seize foreign policy opportunities. This proposed new flexibility fund is intended to assist the Secretary of State to quickly and effectively respond to contingencies in foreign countries or regions providing resources that can be drawn upon immediately to address a range of needs including training, procurement and capacity building of a foreign country's national military forces to conduct, among other activities, counterterrorist operations or participate in or support military and stability operations. The Committee is therefore providing $5,000,000 of unallocated FMF which shall remain available until expended. The Committee intends that these funds should be coordinated through a joint Department of State and Department of Defense review. The Committee further directs that these funds shall not be used to replenish or backfill any funds that were specifically denied by the Committee. The Committee further expects that the Department of State will not prejudice the availability of these funds by pre-programming and use this new ability in the spirit it was provided. The Committee further expects that any use of these funds shall be subject to the regular notification procedures of the Committees on Appropriations. Sec. 699B. `Report on Anti-Corruption Activities' is a new section requiring a report on the level of corruption activities in each country receiving assistance under the headings `Development Assistance', `Assistance for Eastern Europe and the Baltic States', and `Assistance for the States of the Former Soviet Union'.